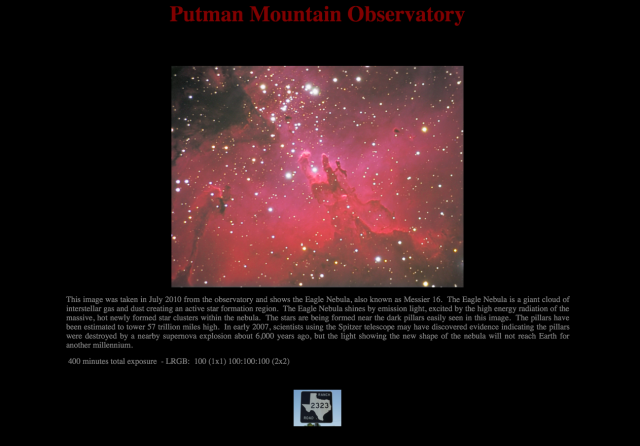 Putman Mountain Observatory is a self-constructed observatory that does amateur astrophotography and research. Ken, the owner, needed a site that was aesthetically pleasing but could also display all the data collected from his instruments. Ken had built his observatory as a hobby, being an amateur astronomer. 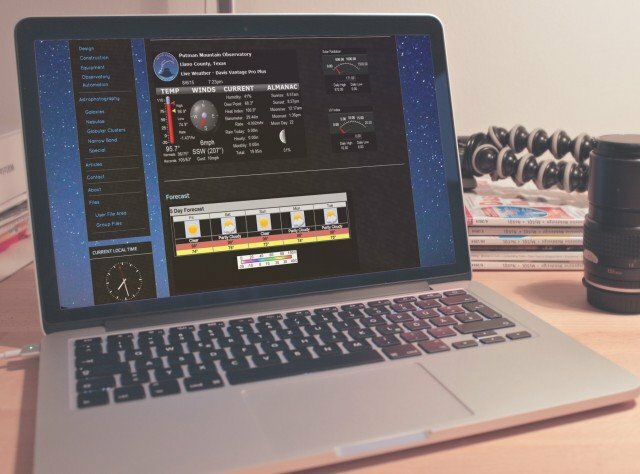 He created a basic one-page site to show all the data and readings from the observatory, was mainly just for himself. However, his site started acquiring more visitors as other amateur astronomers were attracted to the information he displayed. He wanted to update his website to make it more aesthetically pleasing and communicate the information in a more organized way. The website needed to have a space-like feel so visitors would know immediately it was an astronomy site. The data collected from all his telescopes and satellite dishes on needed to be displayed live on his site via charts, graphs and images. A responsive, minimal image gallery shows great photography. Ken also needed to update the site on his own, so WordPress was the best choice for a platform, allowing the most flexibility to display data, but ease of use that Ken could manage his own content. 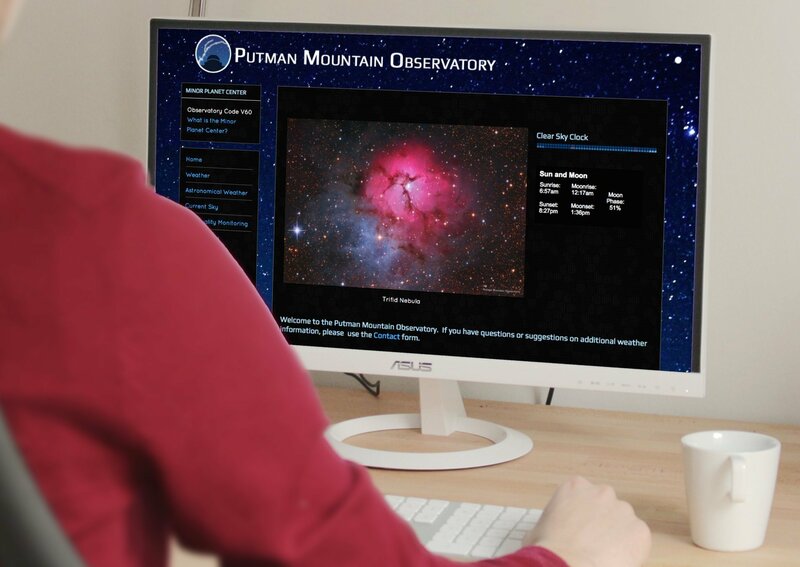 A new logo needed to be created to brand Putman Mountain Observatory, which I utilized my friend Stephanie to create, who is an excellent graphic designer. 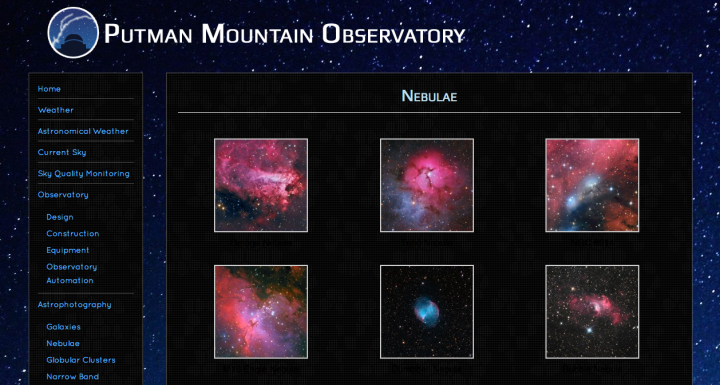 Putman Mountain Observatory now has a powerful yet easy to navigate site that allows Ken to truly show off his observatory. Businesses that have a lot of information to communicate can end up with a really cluttered website. What we're here to do is help reorganize that information so your visitors find what they're looking for. Learn how a website redesign can make your message more effective.